Happy Easter to one and all of you should you happen to be passing by this post on this Easter Sunday. 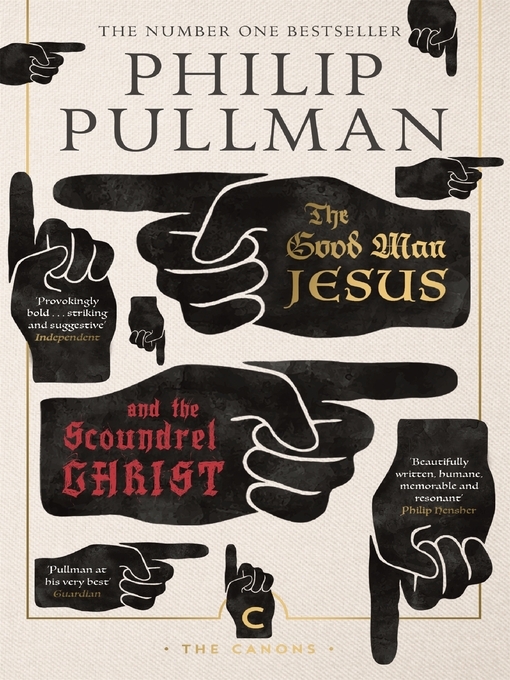 I don’t know if it’s sacrilegious or timely to be reviewing ‘The Good Man Jesus and the Scoundrel Christ’ by Philip Pullman, a book that seems to be causing controversy wherever it goes. Controversial books are always very good for sales and become some of the biggest read books of the year but are they actually any good? Well today’s review of the latest book to cause a super stir comes to you from someone who isn’t the biggest fan of Philip Pullman and who doesn’t really have any religious stance. So you are going to get some very unbiased thoughts, well you always get unbiased thoughts here but you know what I mean. Can you imagine if Jesus had in fact been born a twin? Well its from this idea that Pullman writes ‘The Good Man Jesus and the Scoundrel Christ’ as after Mary’s immaculate conception she gives birth to two boys on Jesus is a healthy strapping baby where as Christ is a bit of a weakling. As the two sons grow up they couldn’t be more different. Christ is the quieter more thoughtful child who looks at everything from all sides and thinks it all through. Jesus is a more boisterous slightly rebellious child who won’t conform to what people want. As the two young men grow up, and discover they have some quite marvellous abilities, one of them becomes famous everywhere he goes (and starts to become a bit of a megalomaniac) whilst the other sits in the background fading into the shadows. That is all I will give you of the story but it leads to a clever twist that becomes the legend people read in the Bible today. I will admit to having no religious views but I know the idea of the book has caused outrage with those who have. I am sure it won’t make the slightest difference me then saying that it made me much more interested in the stories of the bible than the R.E lessons or never ending assembly sermons did when I was at school. Jesus having a twin makes you see all his actions such as feeding the thousands bread and fish, turning water into wine and healing the sick from an eye witness and one who has a realistic stance on the whole thing and looks at it from more than one certain side. I thought I would give you a snippet (longer than a quote but smaller than an excerpt) of the style of the book which is told like a wonderful myth with great characters, some suspension of what you believe and a dash of humour and realism. At that time, Mary was about sixteen years old, and Joseph has never touched her. One night in her bedroom she heard a whisper through her window. ‘What is the secret?’ she said. ‘You are going to conceive a child,’ said the angel. ‘But my husband is away,’ she said. It is a modern grounded and often quite funny twisted take on the tale of Jesus, though not really a retelling it in some ways is, and I think in a time where religion seems to be out of fashion I wouldn’t be surprised if it sparks people’s interest. I won’t lie the church comes under some serious criticism in the book especially its morals and what it claims to stand for but I would say people should definitely give this book a try no matter what your views are on religion, God etc. It’s a great tale and a wonderful addition to the Canongate Myths, though not quite my favourite it’s not far off. So yes the hype is almost worth it with this novel. I do think that some of the hype, apart from the subject of it being about Jesus, is that its Pullman’s latest novel. I am not sure where I stand on Pullman (I loved the Sally Lockhart series but thought His Dark Materials was good until half way through the second book) but I did like the way he wrote this, it resonated with me in some way. So who will and who won’t be reading this, and of course why? What are your thoughts on books that cause a mass of controversy before they are even released? I am hoping that should my mother read this (as she does pop by to have a gander from time to time I believe) she will be chuffed by this post. You see my mother is a classicist and though she has never said it I think she does wish that just one of her children might show an interest, having said that my sister and brother are only eleven and eight so there is time yet for them to catch the bug. As a child I was brought up on the Greek Myths, went to Greece regularly and like many youngsters can grew incredibly bored by it all (ungrateful swine is what I think now) I think getting 99% in Classics at the School my Mum taught in and getting ridiculed didn’t help. Recently reading ‘Where Three Roads Meet’ by Salley Vickers has reignited an interest of old though. ‘Where Three Roads Meet’ is one of the Canongate Myth series a series in which modern authors take classic myths from around the world and retell them in their own way. With this novel Salley Vickers gives us the retelling of ‘Oedipus’ the Greek legend of a man who killed his father and then married and had children with his mother, though its not quite as simple as that but I wouldn’t want to take all the fun out of the plot if you haven’t yet heard the tale. This myth was then used by Sigmund Freud who came up with the now famous ‘Oedipus Complex’. What Salley Vickers does, and its no easy task, is manage to combine the myth with the last days in Freud’s life. I had no real prior knowledge of Freud’s life and so to discover that he had cancer of the mouth and the last years of his life with all the operations and horrendous pain (for it was the 1930’s and medicine was not so advanced). 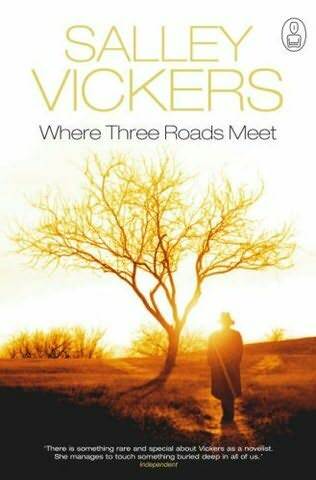 Vickers uses this time when he was on a lot of morphine for a strange visitor to appear to him one day, almost frightening the life out of him, to tell him a tale of a place where three roads meet and a story Freud knows well but not from someone who might just have been there. With a novel like this you do need to be able to suspend your belief and go along with the tale but then if you are reading a myth in the first place that shouldn’t be a problem. ‘- You know, “kindness” has an interesting etymology. Its root is “kin”. I met it only this morning looking through Hamlet again. “A little more than kin but less than kind”, Hamlet says of his uncle. – I’m not familiar with your friend, Dr Freud, but as you go through life you come to see the worth of those who make you feel they are your kind. I enjoyed this book and I think if you are interested in the myths and love language then you will too. If you are a fan of Vickers work then don’t go into it thinking it will be anything like ‘Miss Garnett’s Angel’ as the style and prose are all completely different, yet it still has that wonderful story telling quality. I haven’t read many of the Myths series yet but so far ‘Girl Meets Boy’ by Ali Shaw is still my favourite. I am wondering if any of the series retell my very favourite myth of Persephone. If not I am wondering if Canongate would let me have a go? I have a very good idea of setting it in London and in fact around the British Museum, I shall say no more but the idea is very firmly lodged in my brain. Back to book though and I do certainly plan on reading more of the Myths that’s for certain and indeed have a couple on the TBR, which one should I go for next I wonder? Have any of you read them? Also what Vickers would you recommend for me to have a look at next as I am also keen to read much more of her work. Oh and before I vanish, one more question. I am wondering if any of you could recommend a cracking edition of a collection of all the Greek Myths. I think I want to get myself buried deeply in them once more. I have to admit that despite my mother being a Classics teacher, though possibly because of that, I have no recollection of many of the great myths. The one that I did love the most was Persephone I don’t know why though looking back. Anyway I digress, with that in mind I went into reading Ali Smiths Girl Meets Boy not thinking of it as a re-working of Ovid’s Metamorphoses or The Myth of Iphis but simply as a new novel. I have to say I don’t think you have to know Ovid to enjoy this anymore or less you will think its wonderful either way. You do get to hear the story of Iphis in the book though about half way through and you can see it reflected in the novel as a whole. Girl Meets Boy tells the story of sisters Imogen and Anthea Gunn, both are at pivotal points in their lives but for completely different reasons. They have grown up loving but not quite understanding each other in Inverness and working for the mass global firm Pure. However things start to change when Anthea leaves/is sacked and on her way out meets rebellious Robin a girl who is writing anti-capitalist slogans on the Pure Head Office walls. The chapters of the novel switch between sisters, we here how Anthea falls for Robin and then the shock of Imogen to Anthea’s sexuality (which is hilarious) and onto Imogen’s discovery about corporations and the ways in which they work. Ali Smith manages to feed us lots of information about sexuality, globalisation and women’s rights and yet make it light hearted and upbeat which is quite a feat. The most important theme in the novel is love, something its incredibly optimistic about which is a joy to read. Like good myths of old there is a lot of surrealism in the novel, not masses, but a bit. After reading the opening line ‘let me tell you about when I was a girl, our grandfather says’ I wasn’t sure I was going to enjoy the book, with a sneaking suspicion it might go over my head. I was proved wrong and frankly after having read some of Ali Smiths novels before (I must revisit The Accidental this year) should have know I was in safe hands. The prose is beautiful and you can’t help think that the old myth creators of the past would read this novel and think it was wonderful, I certainly did.